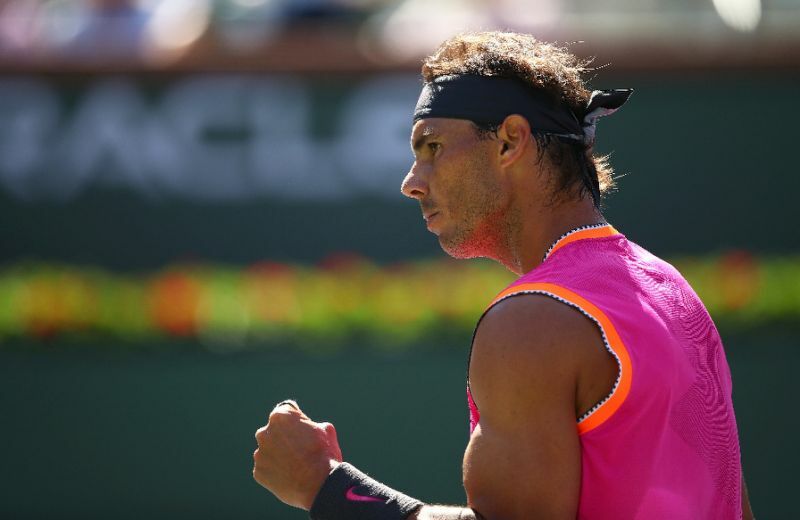 Rafael Nadal beat Diego Schwartzman 6-3, 6-1 to reach the fourth round of the ATP Indian Wells Masters. Nadal took his record against the world No. 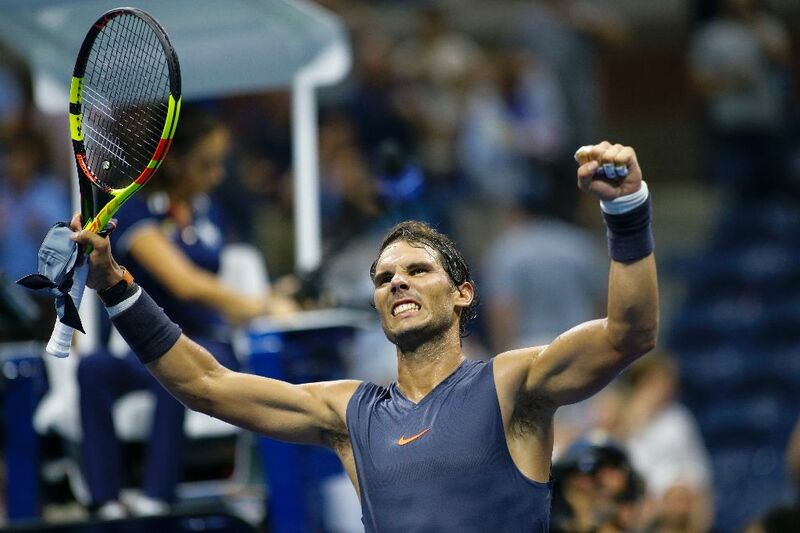 26 to 7-0 in emphatic style, never facing a break point in a match lasting an hour and 16 minutes. "I did a lot of things well. 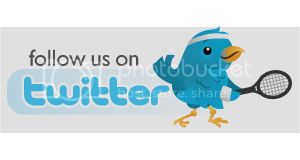 I started the match very well," Nadal said. "My serve worked very well, especially in the first set. But during the second, I was doing things well anyway, so just happy having a match that I suffered in the past against Diego. We know each other well, so it's a positive victory for me." 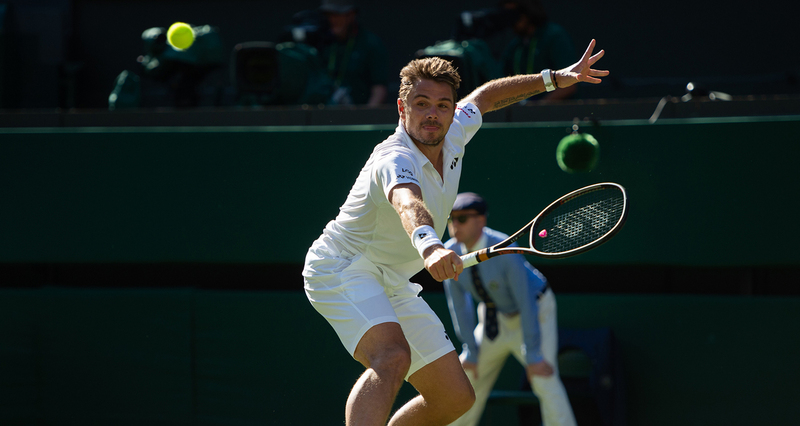 Stan Wawrinka overcomes the heat & Ugo Humbert with a four set victory. Wawrinka will face the No. 25 seed Milos Raonic in R3. Stan the Man moves past Grigor Dimitrov in day 1 action of the 2018 US Open. Roger Federer & Stan Wawrinka practice in Arthur Ashe ahead of their 2018 campaigns. 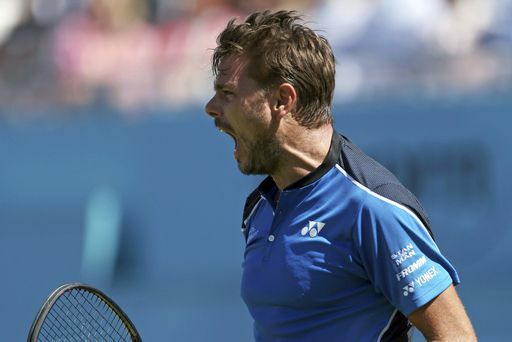 Watch highlights of Stan Wawrinka versus No. 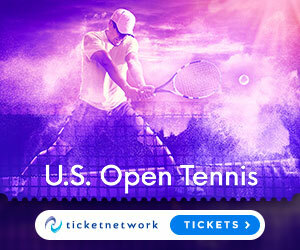 12 seed Diego Schwartzman on Monday at the Western & Southern Open. Stan Wawrinka talks about he how turned around his first-round match against Nick Kyrgios at the Rogers Cup on Tuesday. Q. After such a good first-round win against Grigor, how disappointing is that? STAN WAWRINKA: Well, for sure I'm really disappoint to lose a match like yesterday and today. I think I was playing really well yesterday. It was really making the game. During the match, I was a little bit between in my game, not aggressive enough, not moving well enough. Yeah, I had a lot of set points in the first set. Set points again today. Could change a lot. Unfortunately I lost in three sets. Q 6-1 down, 23 minutes, not very good form going into the tournament. What were you thinking at that moment? STAN WAWRINKA: Was for sure not the best moment of the match. Was tough. But to lose that 6-1, I still think at that moment that I wasn't playing that bad. I was missing few things. The set went quick. I've been practicing so hard last few weeks on grass to get my level there, to be ready for big match, to know that I can count on my game. I had to put myself together again, to try to fight, try to find solution. I also knew before the match that it's tough for Grigor to play against me in the first round, especially he's also looking for confidence, he didn't win so many big match recently. 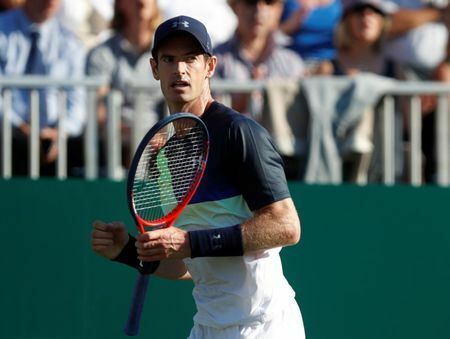 Andy Murray claimed his first win since returning from a hip injury as he trounced Stan Wawrinka 6-1 6-3 in the first round of the Eastbourne championships. An unlikely clash on the sun-baked south coast between two wild cards ranked 156th and 225th respectively was not much of a contest but was hugely significant for Murray as he tested his fitness for next week's Wimbledon. Having lost to Australian Nick Kyrgios in the first round of last week's Queen's Club tournament -- his first match for almost a year -- Murray took a late entry into Eastbourne to put his hip through another examination. Marin Cilic hopes another good run at Queen's Club will stand him in good stead for Wimbledon. The top-seeded Cilic was champion in 2012 and runner-up in 2013 and 2017. He came close at Wimbledon last year, losing to Roger Federer after suffering from bad blisters in the final. He made a winning start at Queen's Club on Monday, beating Fernando Verdasco of Spain 6-3, 6-4. "You can't live on the glory from last year, you have to show that again," Cilic said. "The grass-court season, it's short but it's sweet as well." Watch highlights as top seed Marin Cilic moves safely through on Monday at the Fever-Tree Championships, as do Gilles Muller and Stan Wawrinka. 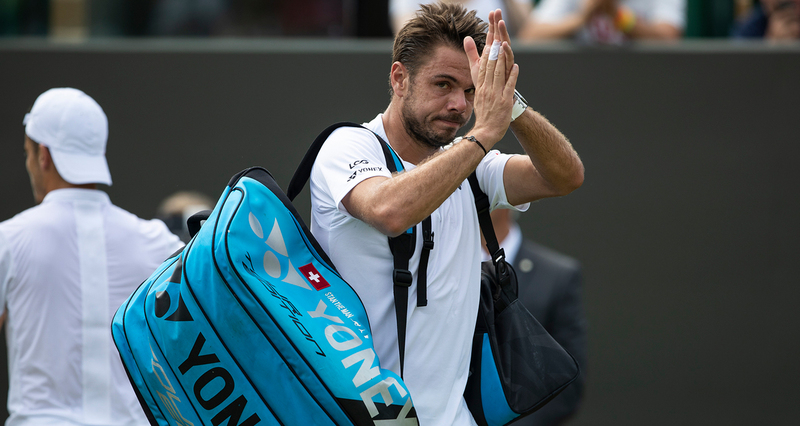 Watch Stan Wawrinka discuss his opening-round victory against Cameron Norrie at the Fever-Tree Championships on Monday. Stan Wawrinka continued to struggle with form and fitness as he was dumped out in the first round by Guillermo Garcia-Lopez on Monday, a defeat which will send his world ranking plummeting. 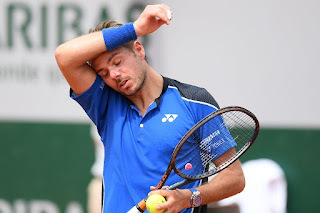 Wawrinka, who lost to Rafael Nadal in last year's final and won the 2015 title, was beaten in a five-set thriller 6-2, 3-6, 4-6, 7-6 (7/5), 6-3 by the Spanish world number 67 on Court Suzanne Lenglen. The 33-year-old has been plagued by a knee injury and arrived at Roland Garros having won just one match on clay in Geneva last week, his first event in three months. 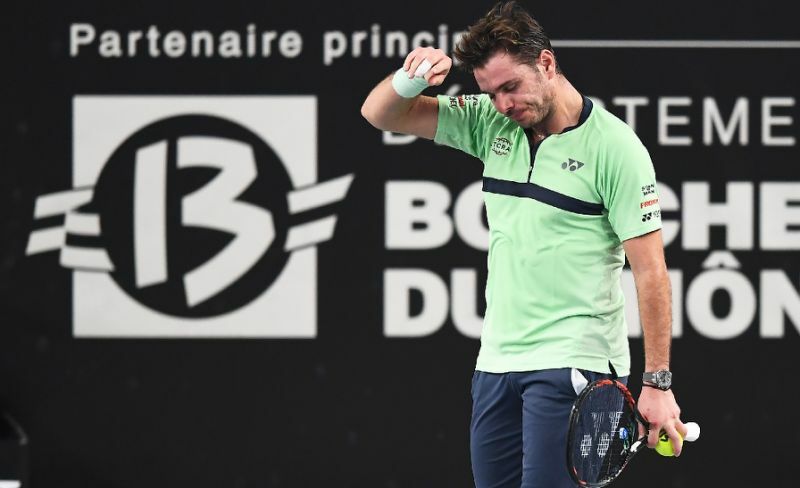 Stan Wawrinka announced he won't be playing at the Miami Open and Indian Wells tournaments this month to continue his recovery from a persistent knee injury. Wawrinka curtailed his season in August last year after battling injury through the grasscourt campaign. He returned to competition at the Australian Open in January but hobbled to a second round exit. In this edition of the Challenger Vault, Stan Wawrinka reflects on his ATP Challenger Tour victory in Lugano, Switzerland in 2009 and talks about how the circuit helped grow his game. 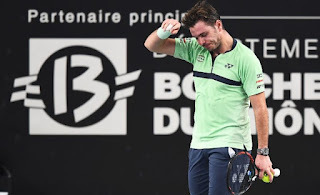 Stan Wawrinka's troubled comeback from a six-month injury lay-off suffered another setback Thursday when he was forced to quit his second-round match in Marseille against world number 193 Ilya Ivashka of Belarus. Wawrinka was 6-4, 1-1 down to the qualifier when he retired. The Swiss, now down at 13 in the rankings, missed the last six months of the 2017 season after undergoing knee surgery. Stan Wawrinka discusses his preparations ahead of the Open 13 Provence in Marseille, as he continues his comeback from knee surgery. World No. 259 Tallon Griekspoor reflects on his first ATP World Tour win against 2015 ABN AMRO World Tennis Tournament champion Stan Wawrinka.